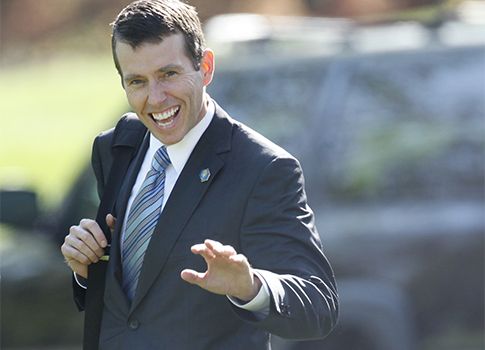 David Plouffe responded on Sunday to statements House Oversight and Government Reform Committee Chairman Darrell Issa (R., Calif.) made on CNN’s "State of the Union," where he called White House spokesman Jay Carney a "paid liar." This is not the first time President Barack Obama’s former senior adviser has voiced his frustrations on Twitter. Plouffe has a history of making outrageous statements. 1. He excused the IRS’s behavior, because GOP groups "flourished last 2 elections." What IRS did dumb and wrong. Impt to note GOP groups flourished last 2 elections, overwhelming Ds. And they will use this to raise more $. 2. When he called out and complained about Karl Rove, Sheldon Adelson and the Koch brothers … "SS Minnow crew more effective." @davidaxelrod The Rove tugboat is on the way to save the day! First mates Adelson and Koch. SS Minnow crew more effective. … and then bemoaned about the response. 4. When he encouraged Americans to vote… Why? Because "you do little else." Just vote. You do little else. Is letting the country know where you stand too much to ask? 5. When he whined about veteran journalist Bob Woodward, after Woodward criticized the president for his role in the sequester. This entry was posted in Politics and tagged Congress, Darrell Issa, David Plouffe, Obama Administration. Bookmark the permalink.